MC Jessy sparked uproar when he publicly shamed a man old enough to be his father during Churchill Show live recording in Nakuru. The comedian made an unpleasant joke about the old man which didn’t go down well with many people, he directly referred him as a sponsor and suggested that he is ugly. “If you want a guy do not go for these handsome men, they always have other women hidden somewhere. Go for someone who has his own kind of face, a personal face. I am not talking about him, he is a sponsor,” said MC Jessy. MC Jessy was forced to apologize to the old man after facing criticisms on social media. The comedian admits his joke was in bad taste. “Forgiveness does not change the past, but it does enlarge the future. 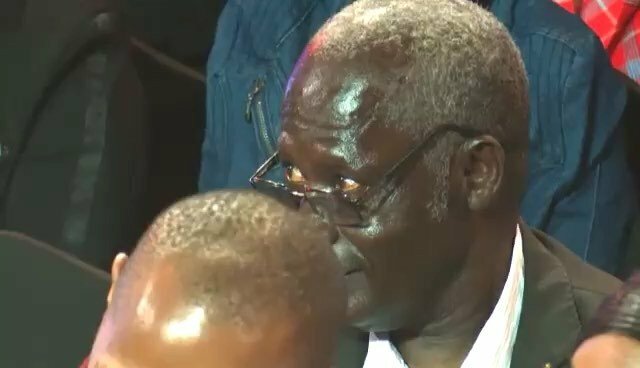 On behalf of The cameraman, producer, Churchill Show family and I, We want to take this opportunity to sincerely apologize to Mzee Achoka, his family and Kenyans in general. I don’t have any excuses. I take full responsibility for the production of this episode that might have gone in bad taste. I’m really sorry it happened. In future I promise it won’t happen again,” wrote MC Jessy.